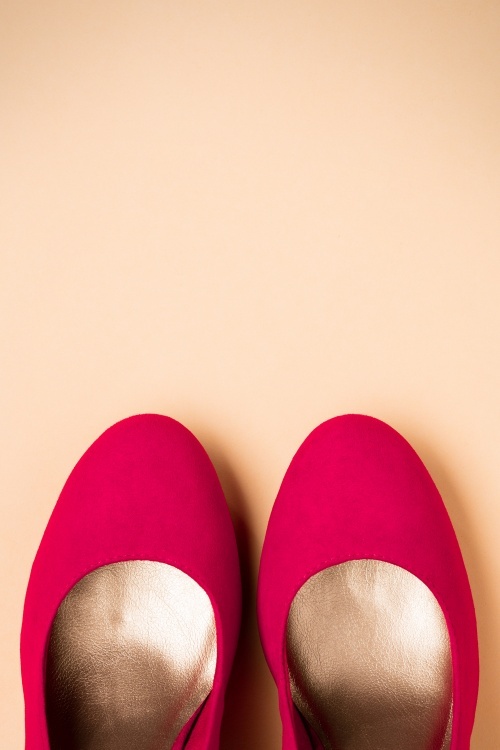 These 50s Classy Suedine Pumps in Lipstick Red are classic pumps with a subtle platform that makes them lower than they seem to be! ''Put on your red shoes and dance the blues!'' These vintage inspired high heels are made of faux suede in lipstick red and the comfy footbed is super soft for your feet! 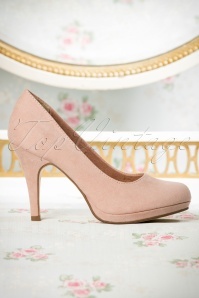 They are perfect for dancing the night away, for an afternoon of shopping or a day at the office! leider passen sie mir nicht, aber ansonsten ist es ein super Schuh!